See incredible sights like this on one of our Alaska land tours! There are many different companies offering Alaska vacations out there but none like Alaska Adventure Unlimited. 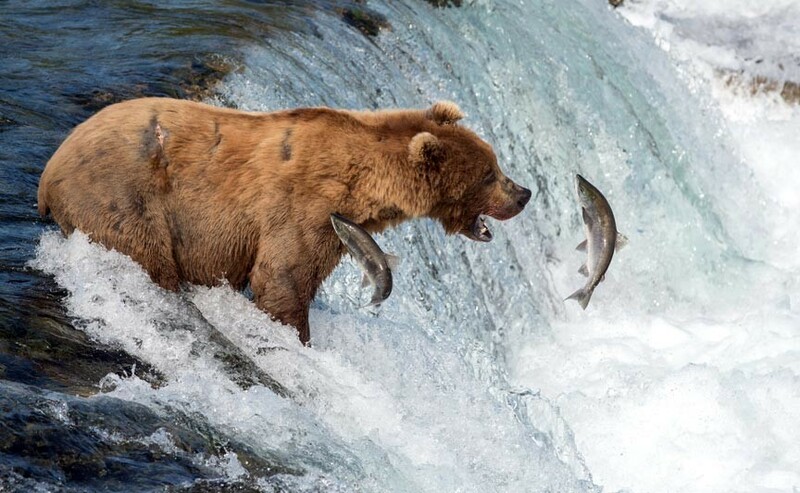 We offer a wide variety of what we think are the very best, multi-day Alaska tours you’ll find. What makes Alaska Adventure Unlimited’s tours so great? One of the biggest reasons we’re confident that we provide some of the very best Alaska vacations available is our staff. Everyone who works for Alaska Adventure Unlimited lives in and loves Alaska. Get set for awesome sights like this on your Kenai Fjords National Park tour! There are endless things to see and do on an Alaskan vacation. One attraction that has a LOT of what people come to Alaska for – wilderness, wildlife, glaciers – is Kenai Fjords National Park! Kenai Fjords National Park is 1,000 square miles of some of the most impenetrable and gorgeous wilderness in Alaska. Kenai Fjords is on the southern coast of the Kenai Peninsula. The park was named for the many fjords that were carved by glaciers sliding down the mountains into the sea. The park was initially established as a National Monument in 1978, then a National Park in 1980. Its borders encircle the Harding Icefield, one of the world’s largest icefields and the park’s crowning feature. Many come just to see this 936-square-mile icefield and thrill at the sight of a calving glacier. You will too. It’s not everyday you get to see the birth of an iceberg! Alaska Adventure Unlimited is an Alaska-owned company that specializes in All Inclusive Alaska Land Tours and Vacations. 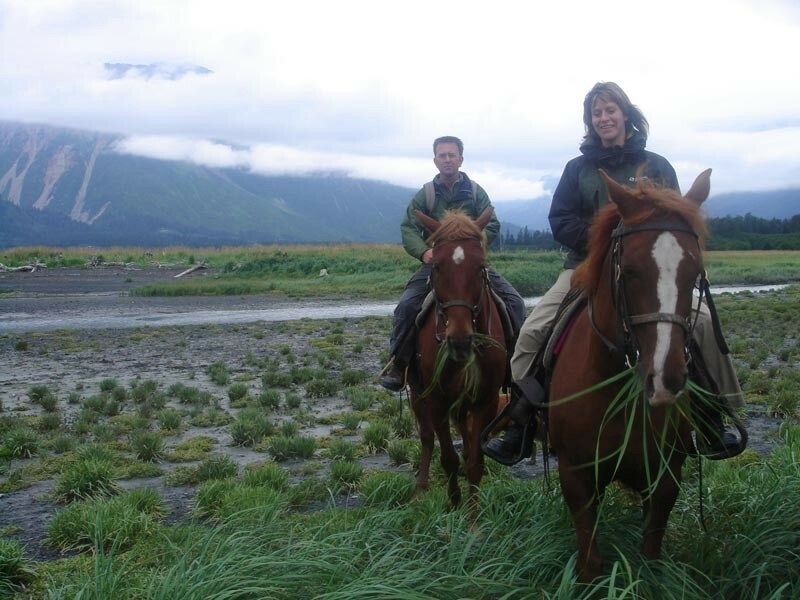 Our expert-guided Alaska land tours are perfect for individuals or groups of up to 14. The tours are aimed at all ages and ability levels and the activity-driven scenic tours offer travelers worry free all inclusive adventure. Tour Alaska’s National Parks and glaciers, view nature up close, and sit back and enjoy your Alaskan adventure without having to plan a thing! Let us be your guide on your all inclusive Alaska land tour of a lifetime! 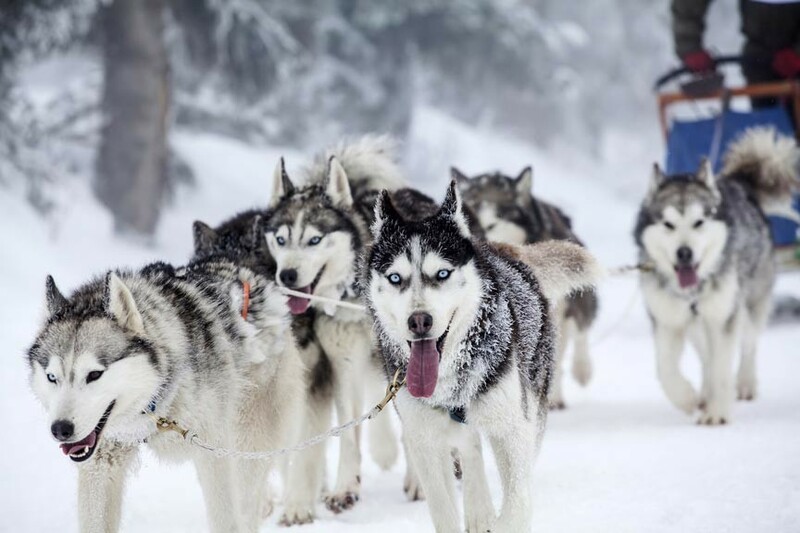 Meet beautiful huskies and experience the thrill of the Iditarod with Alaska Adventure Unlimited! We offer a variety of ways to get out on Alaska dog sledding adventure! 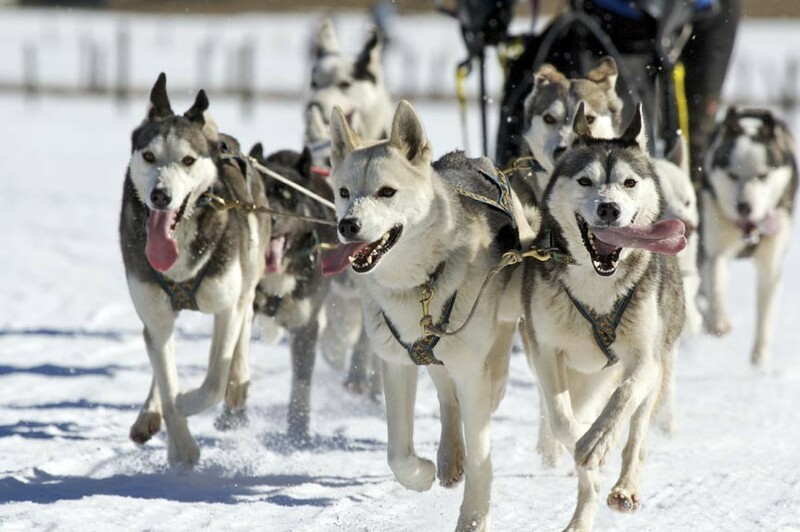 The Iditarod is Alaska’s annual, 1000 mile long, dog sled race. This iconic yearly event conjures up romantic visions of hardship, endurance, and heroic men and dogs. Even in the beginning, when it was simply for supplies and mail, the journey was worthy of respect and awe. You’ll have the time of your life on a Knik Glacier Airboat Tour on Lake George in Alaska’s Mat-Su Valley. At 28 miles long, 6 miles wide, and over 1000 feet thick, Knik Glacier is one of Alaska’s grandest natural attractions! 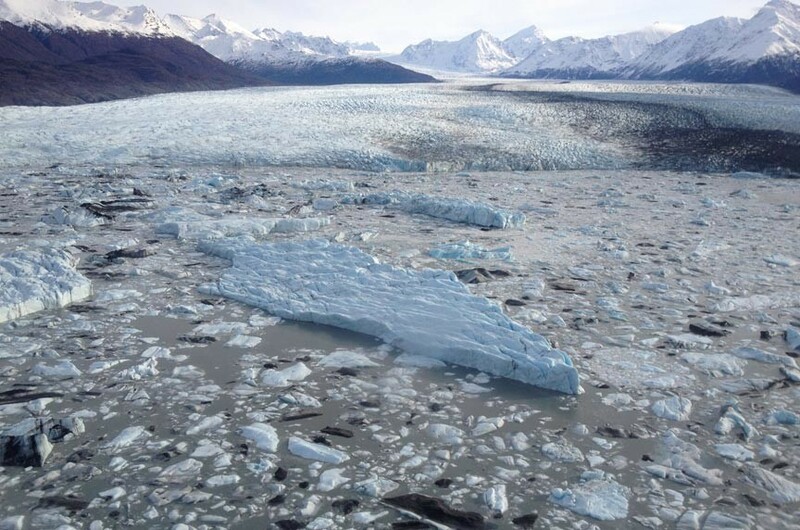 Knik Glacier is one of the largest accessible glaciers in south central Alaska! A visit to Knik Glacier is always an Alaska vacation highlight, making it a real pleasure to share with visitors. Did you know that there are almost as many types of Alaska glacier tours as there are types of glaciers? You can hike or walk on some glaciers, raft past them, flightsee them, even land a skiplane plane on them! With Alaska Adventure Unlimited, you can do all that and more! Most folks seem familiar with the kind of Alaska glacier tours where you visit a glacier from the water. While this can be a great experience, especially if you’re lucky enough to be there when a glacier calves an iceberg, it’s definitely not the only kind of glacier tour! 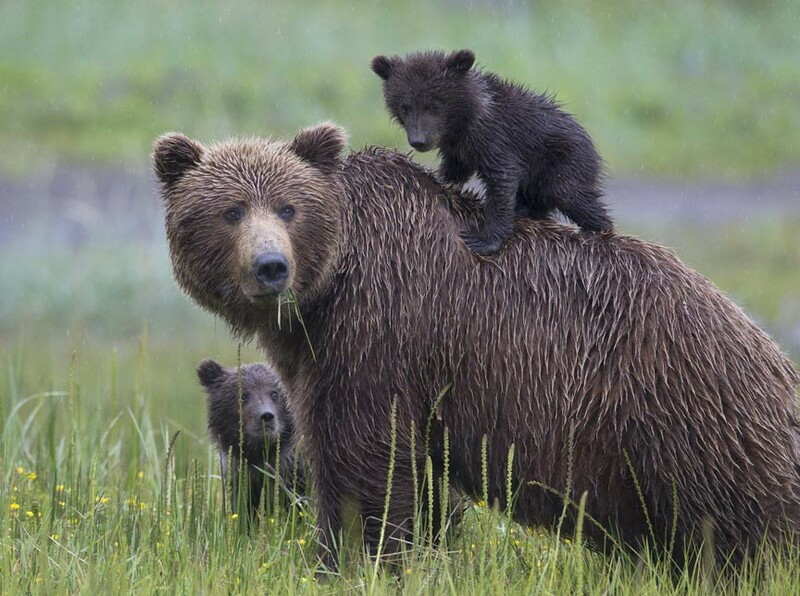 There are a thousand and one reasons to visit Alaska but easily one of the most popular is for an Alaska bear viewing tour. And why not? These magnificent creatures are big, beautiful, and breathtaking to behold in the wild! 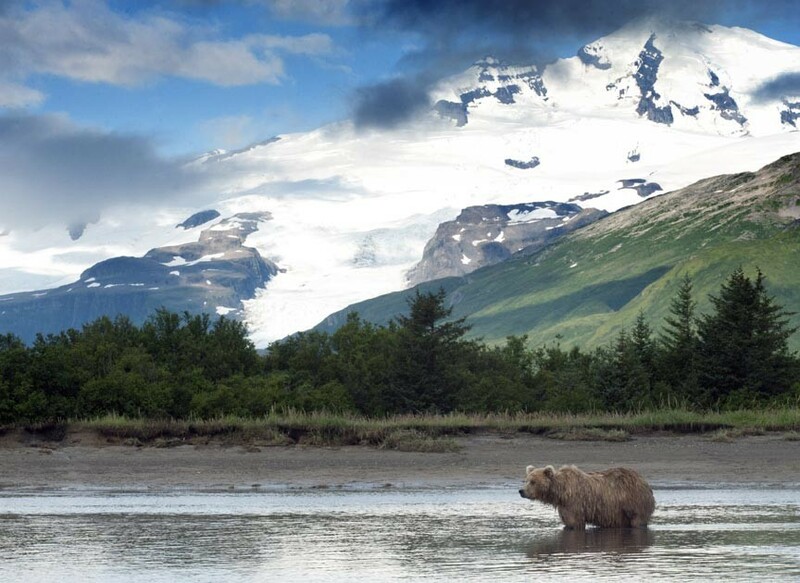 There’s nothing quite like seeing an Alaskan brown bear in its natural habitat. 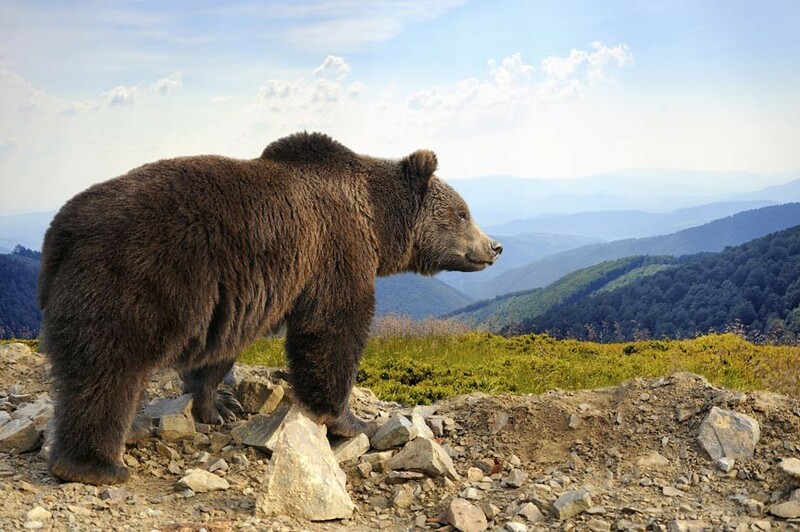 Seeing them in zoos and photos can be fascinating and fun but it just isn’t quite the same as seeing them in person in their natural environment. 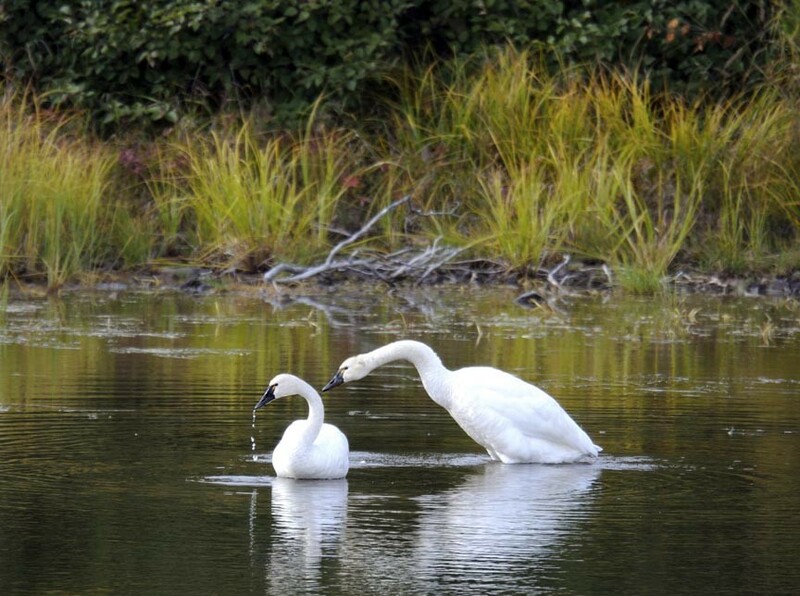 Looking for an Alaska tour company that provides truly family-friendly Alaskan vacations? Look no further! 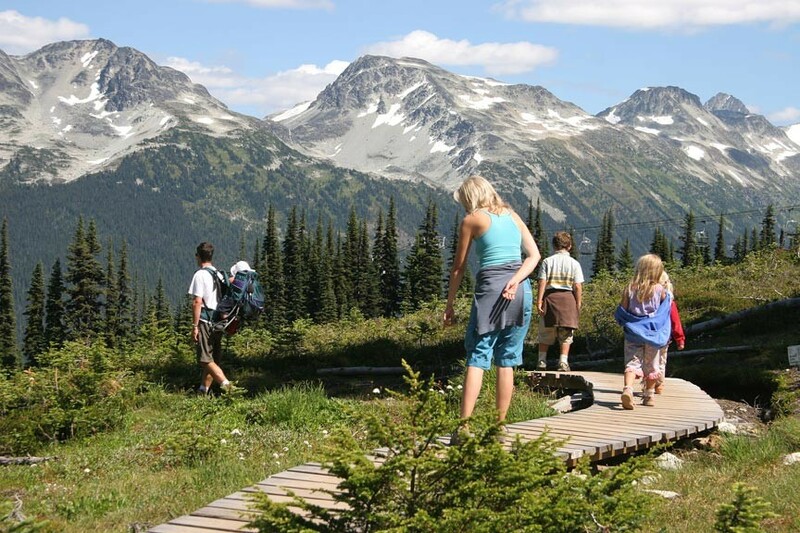 Alaska Adventure Unlimited offers a wide range of kid-friendly Alaska tours! It can be frustrating when you plan a trip for the whole family only to discover that children aren’t actually welcome. There are a lot of tour companies out there that won’t accommodate children. It’s even worse when they say they are family-friendly, then fail to honestly consider your children’s needs, treating them more like baggage than guests. At Alaska Adventure Unlimited, our family-friendly Alaskan vacations really are kid-friendly. More than just making sure they have a seat outside the baggage compartment, our tours are designed to keep all members of the family entertained. That is why Alaska Adventure Unlimited is the #1 provider of family-friendly Alaskan vacations! 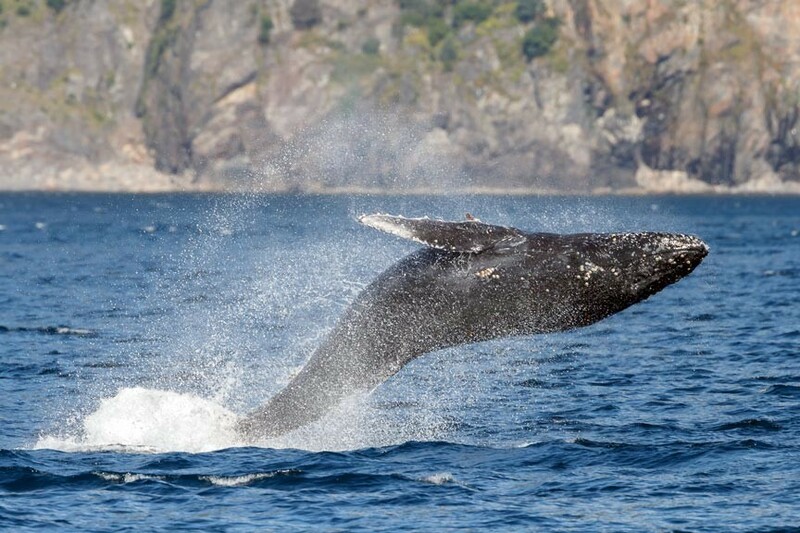 You’ll experience Alaska’s most popular wildlife and glacier cruise on a Kenai Fjords Cruise in Kenai Fjords National Park! Kenai Fjords National Park is located on the edge of Alaska’s Kenai Peninsula. The park’s rugged landscape includes fjords, mountains, and glaciers. The Harding Icefield is here, its host of nearly 40 glaciers calving bergs into Resurrection Bay. Wildlife thrives here, both on shore in the meadows and forests and offshore in the icy waters. Black bears, sea otters, puffins, eagles, migrating whales, and many more are routinely spotted within the park’s boundaries. Going on a guided Alaska sea kayak tour is the experience of a lifetime. A saltwater paddle puts you at eye level with the marine world – a whole new perspective on Alaskan wildlife! When you climb into a sea kayak, you’re getting that much closer to the water and to the unspoiled world you traveled so far to see. Even if you’ve never touched a paddle before, you’ll find the experience smooth and soothing. Kayaks slice quietly through the waves, leaving you able to approach more closely to marine life without disturbing them. 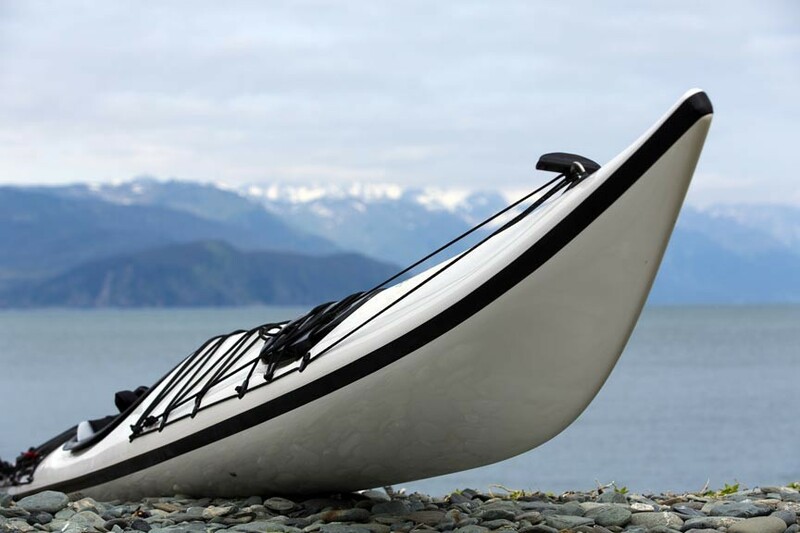 The sea kayak tour offered by Alaska Adventure Unlimited is an optional exploration of Resurrection Bay. Depending on the time of year you go, you may have the opportunity to see lots of wildlife, including otters, eagles, salmon, sea lions, maybe even bears! 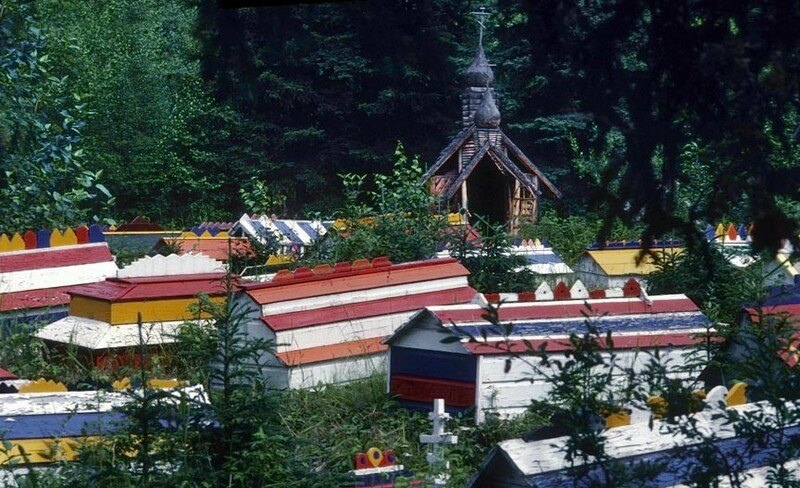 Colorful Spirit Houses in Eklutna cemetery. You’ll enjoy an amazing mix of native history and outdoor adventure when you tour Alaska’s Native Athabaskan village of Eklutna. Eklutna is in Alaska’s Matanuska Valley, 25 miles outside of Anchorage. Eklutna is presently home to around 70 residents. The village dates back at least 800 years, making it the area’s oldest continuously inhabited settlement. The Athabaskan people have lived in the area for thousands of years and they are still here, relying upon the land for their subsistence and traditions. You wouldn’t think a person would need many reasons to visit Alaska but then again, why would you go? Isn’t it just snow, beards, and moose? Au contraire, mon frere! When most folks who’ve never been here think of Alaska, they tend to picture a snow-covered landscape populated by bears, moose, and men on dogsleds. While you can certainly find those things here, Alaska is so much more! Imagine being whisked into the heart of the Denali wilderness aboard a glass-domed, environmentally controlled, Alaska Jetboat Safari. Stop imagining and start planning with Alaska Adventure Unlimited! Alaska is adventure just waiting to happen – all it needs is for you to come and have it. That’s what Alaska Adventure Unlimited is all about! Our Alaska Jetboat Safari is just one of the many different experiences our tours provide. An Alaska Jetboat Safari is a 2 hour trip, up the Susitna River from Talkeetna, into Alaska’s timeless and untamed Denali wilderness. 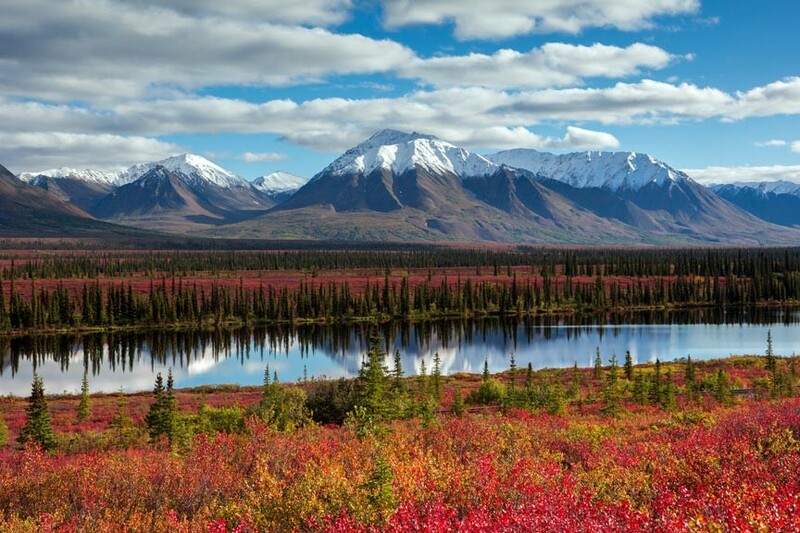 You’ll marvel at the Mt McKinley backdrop and catch glimpses of iconic wildlife – magnificent bald eagles and ever-diligent beavers. With the variety of Alaska tour operators out there, why choose Alaska Adventure Unlimited for your Alaskan wilderness tour? We’re glad you asked! When you tour Alaska with AAU, you’re touring with local guides. Alaska Adventure Unlimited is a small, private Alaska touring company. Our mission is to ensure unforgettable, environmentally aware adventures in Alaska’s playground. We live here and LOVE Alaska. Further, our Alaska tour groups are quite small – just 2-14 people. That is a unique factor, here in the 49th State. Such small tour groups allows us the kind of flexibility other, larger tour groups can only dream of. Alaska is a big state with lots to see and do – but how to get out and see it? There are four common methods used to visit the state’s many attractions. Which is the best way to see Alaska? Visiting Alaska can be daunting. Beyond the state’s size, which is huge in comparison to not just most other states but also many countries, it also contains a lot of eye-popping wilderness. There is just so much to see and do! Right after deciding to make the trip, the next question is almost always: what is the best way to see Alaska? Give yourself the experience of a lifetime with a truly unique Alaska adventure tour. Alaska Adventure Unlimited prides itself in providing unique experiences. Our 10-Day, Full Circle of Alaska vacation fits the bill – and then some! 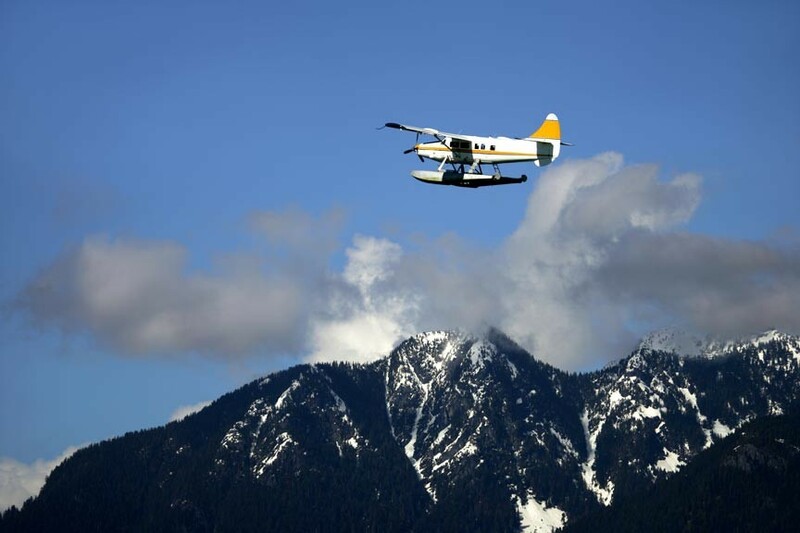 No matter where we take you on your Alaskan wilderness tour, you’re going to have a great time. Knowing that many of the destinations on your trip are rarely or never included in any other package tours offered elsewhere only adds to the experience. Alaska Adventure Unlimited’s 10-Day, Full Circle of Alaska tour is just that: a vacation package that provides you with numerous unique locations and experiences. Like what, you ask? Read on! Get up close and personal with a once extinct, ice-age native of the Alaskan wilderness. Visit an Alaskan Musk Ox Farm! 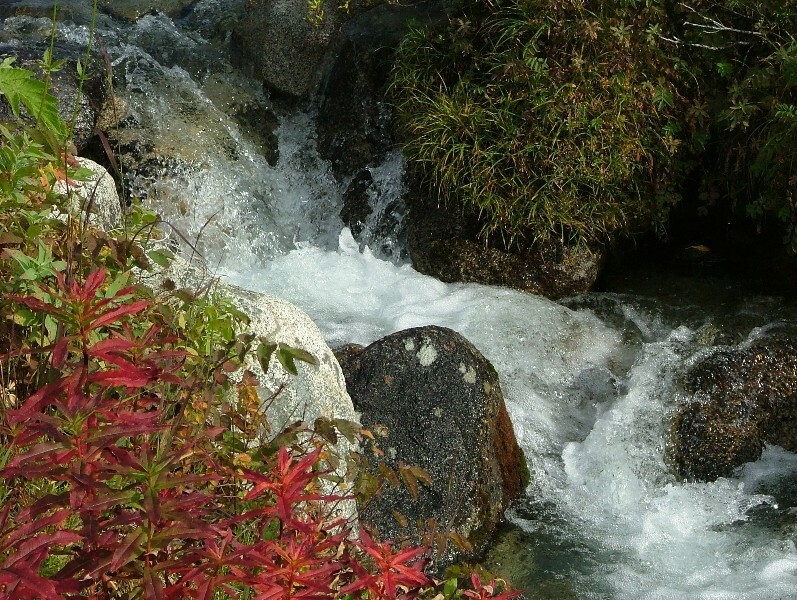 Alaska Adventure Unlimited loves treating its guests to the things that make Alaska unique. A visit to the only arctic musk ox farm in the US (the world?) certainly fits that bill! 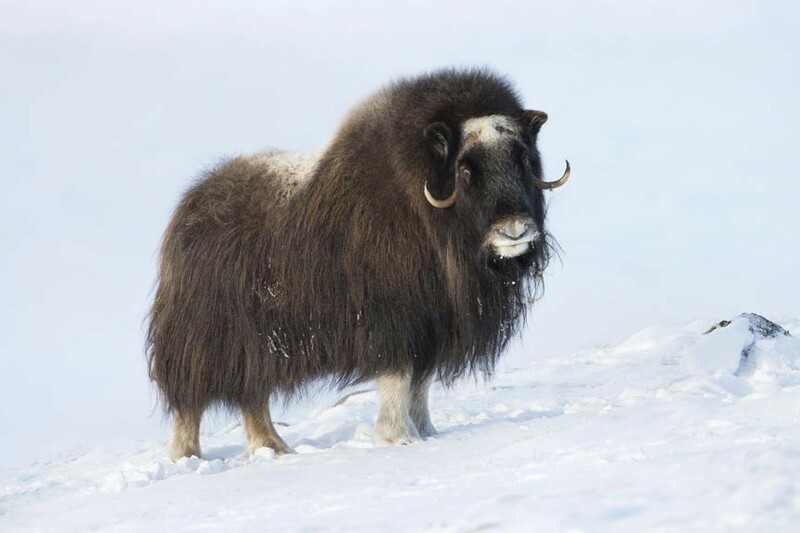 Despite looking like a close relative of the cow, the musk ox is actually much more of a sheep or goat than it is an ox. 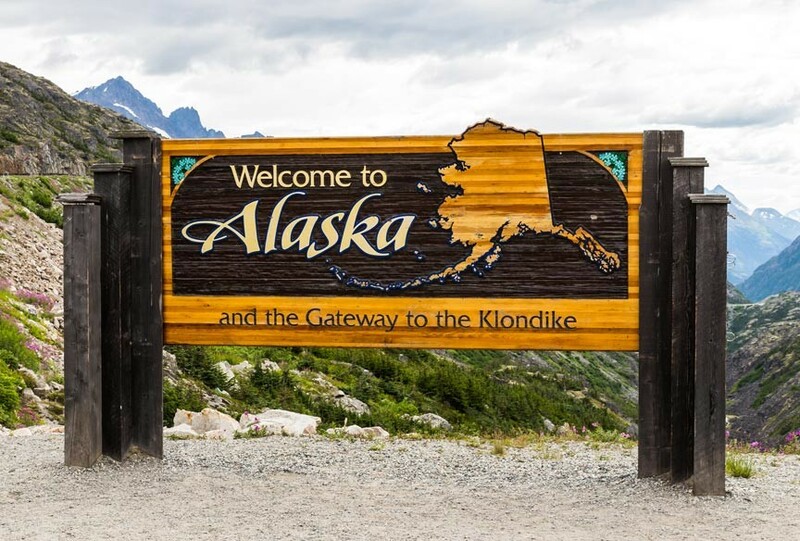 Alaska’s gold rush may be over but you can enjoy an Alaska gold panning adventure of your own when you book a trip with Alaska Adventure Unlimited! 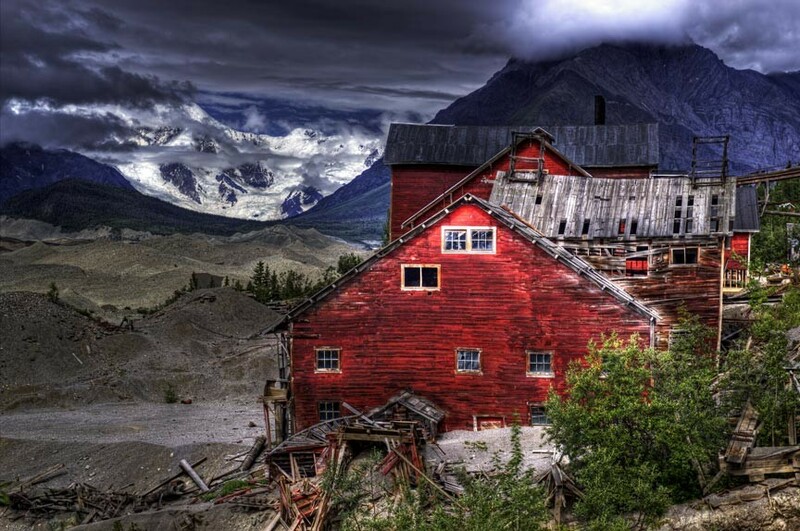 The Alaskan gold rush drew thousands of adventurers to Alaska in the late 1800’s and early 1900’s. Most think of Nome, Fairbanks, and Iditarod country as Alaska’s gold rush frontier. Gold was actually discovered closer to Anchorage before that! Gold fever took hold and prospectors scoured the Susitna and Matanuska river basins. They found what they were after in the Talkeetna Mountains. A multi-day vacation package from Alaska Adventure Unlimited will help you to experience some of what those days must have been like! Iconic, majestic, photogenic: these are the words that come to mind when one thinks of Alaska’s Dall sheep. Who wouldn’t want the opportunity to see them in their natural habitat on a Dall sheep photo safari? 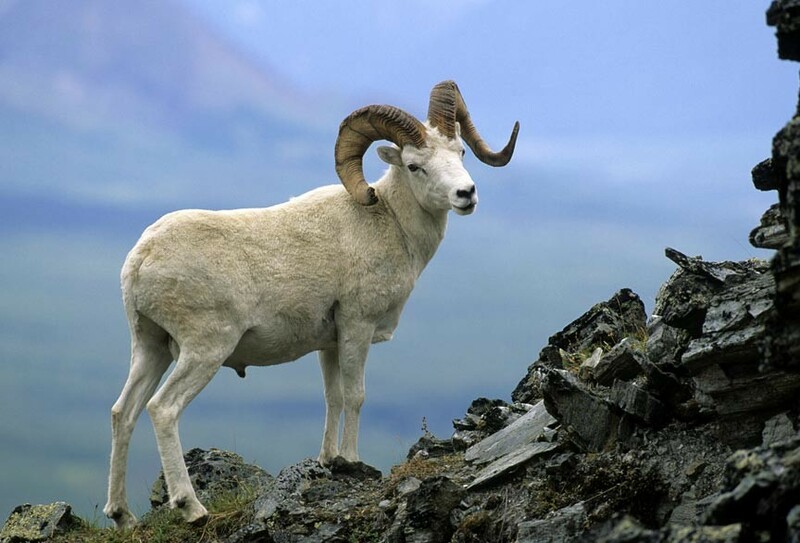 Dall sheep are native to the mountain ranges of Alaska. The massive curled horns of the males make them almost instantly recognizable, and startlingly impressive. Even the females, with their shorter, slender, only slightly curved horns are beautiful to see as they clamber through the steep, rocky terrain. Alaska Adventure Unlimited takes you to many places in Alaska where you are likely to catch sight of Dall sheep, not to mention other Alaskan wildlife. Few, however, compare to the opportunities found near Matanuska Glacier. 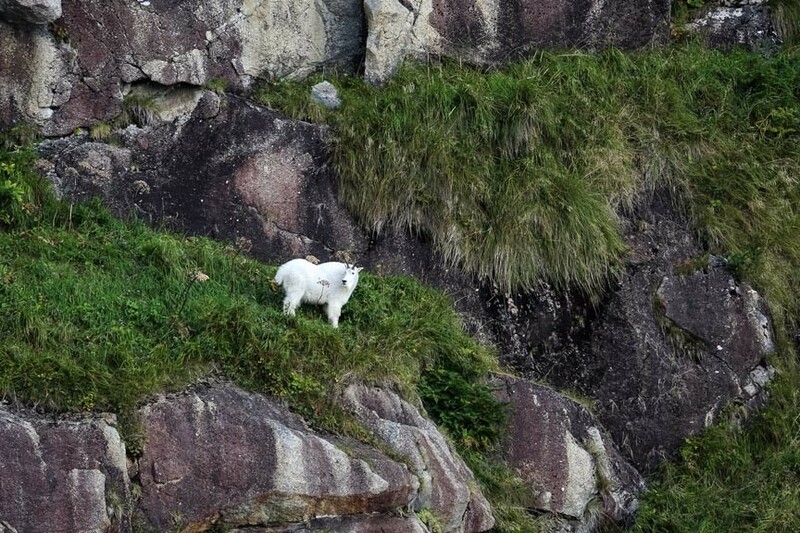 Here, at Sheep Mountain, there is a large population of Dall Sheep which are protected from hunting. A number of our tours stop here for a bite to eat and, weather permitting, it’s the perfect spot for a Dall sheep photo safari! The ticket to a scenic, coastal Alaska train trip is waiting for you when you book your guided tour with Alaska Adventure Unlimited! 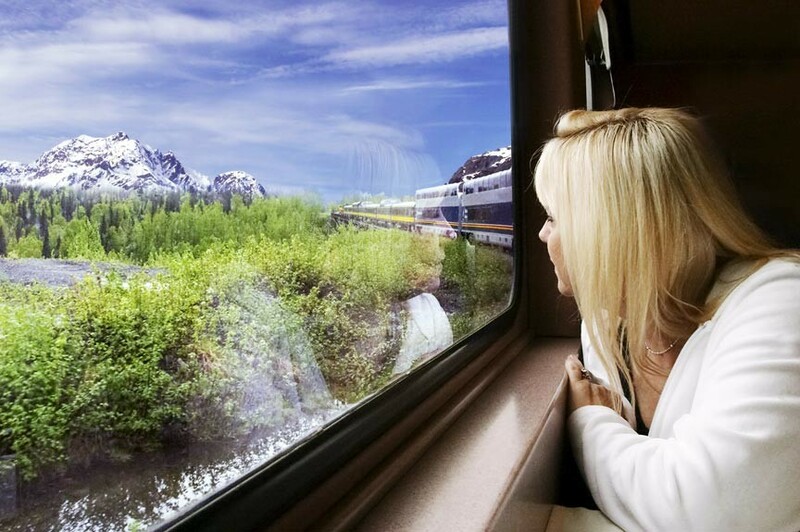 National Geographic Traveler ranked this rail journey one of the Top Ten Train Rides in North America. And no wonder! The rail line from Anchorage to Seward cuts through some of Alaska’s most stunning scenery. Your coastal Alaska train trip is a 4+ hour sight-seeing ride to Seward from Anchorage. Around 114 miles of rugged of seemingly endless, breathtaking vistas. Your trip to Denali National Park with Alaska Adventure Unlimited can include a number of different options: golfing, ATV tours, and horseback riding. You choose! There’s plenty to do and see in Denali National Park. From the great trail system to all the offerings at the Visitor’s Center, Muir Science Center, theater, bookstore and more. You will not get bored here! That being said, part of Alaska Adventure Unlimited’s goal is to take our guests beyond the typical and expected. With that in mind, we offer a number of optional adventures for your visit to Denali National Park! Looking for some thrills and adventure during your Alaska getaway and not afraid of getting a little wet? Then Alaska whitewater rafting is for you! 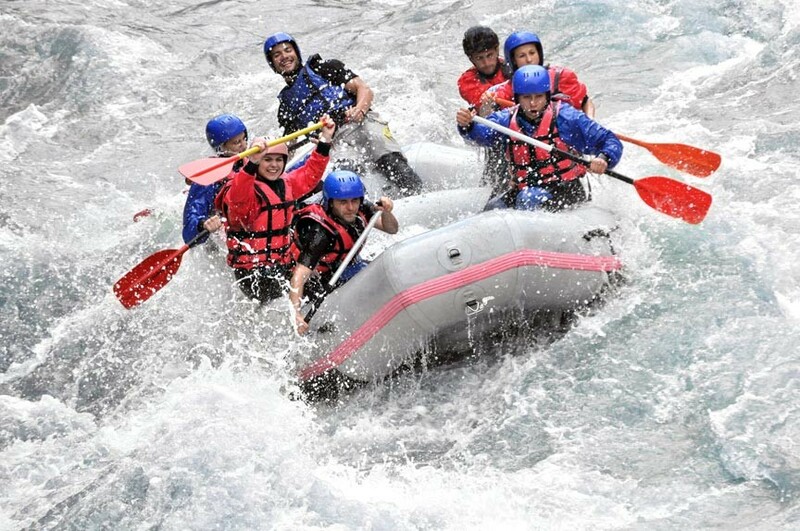 Alaska whitewater rafting on Matanuska River – the Lion’s Head – is a thrilling raft trip that is popular with first-timers and experienced rafters alike. The Lion’s Head raft trip includes a few miles of class III and IV whitewater as well as long stretches of intermittent class II and III rapids. Alaskan dog sledding is one of those iconic experiences many of us dream of but never realize. With an Alaska Adventure Unlimited multi-day tour, the dream can be yours! Dog sleds are less common than they once were but remain a reliable mode of transportation across otherwise forbidding landscapes of snow and ice. It’s hard to think of dog sledding without picturing the Iditarod. Most know the Iditarod as a 1000 mile long, dog sled race. How many realize that the Iditarod Trail began as a mail and supply route from the coastal towns to mining camps deep in the interior. Mail and supplies went in, gold came out. The Iditarod Trail was also instrumental as a life saving highway during the 1925 diptheria epidemic. Now you can experience the historical (and very real) thrill of Alaskan dog sledding on any of Alaska Adventure Unlimited’s multi-day tours!